Travel isn’t cheap. We budget, we search for deals, and we try and stretch our money as far as we can. Talking money with your spouse is awkward at best, but adding the kids into the conversation? You’ve got to be crazy. Do they really understand? Will they share with the world? Will they worry? So until recently we decided to keep our kids in the dark when it comes to money. But is keeping them in the dark the right way to deal with it? We have tried to teach our kids about money in the traditional ways - lead by example, give them pocket money, expect them to earn money for doing chores, and we have opened saving accounts for all of them - but they still seem to think that we have a secret money tree for family holidays. Its not their fault. They don’t know any better. My kids have been traveling since before they could walk. They don’t know another life, and so its hard to be grateful for something that you’ve always just done and grown to expect. But I didn’t grow up like that. I still vividly remember the excitement of hopping on a plane for the first time. I can count on one hand the number of holidays we had while growing up. But my kids have experienced a different world, and so it is my responsibility to teach them to be grateful for their opportunities and help keep those feet firmly planted on the ground (even as we cruise at 35000 feet). Money doesn’t grow on trees, and holidays are a luxury item that need to be budgeted and planned for. The Tween's first trip Downunder in 2006. Is there a way to teach about the value of money? The Tween and The Boy are HUGE Harry Potter fans. They’ve read all the books, watched all the movies numerous times and due to the fact that I would not buy an expensive £30 wand, they have spent many a day carving their own wands out of wood in the forest. In their fantasy, the next step in this Harry Potter craze was to visit some sort of themed location. Since Harry Potter World in Orlando is a little far away and also out of our current budget, they both had their sights set on visiting the Harry Potter Studio Tour just outside of London. Let's go to Hogwarts! But kids, you have to pay for it yourself! But this is where should I step in and let you know something really important: Harry Potter doesn’t do anything for me. Unlike my children, I have not read a book or seen a single movie and so my motivation to take them to Harry Potter Studio Tour was at an all time low. What was high though was my motivation for a teaching moment - and when I realised I could combine their love of Harry Potter and a life lesson, I thought— hang on a minute, I have an idea …. 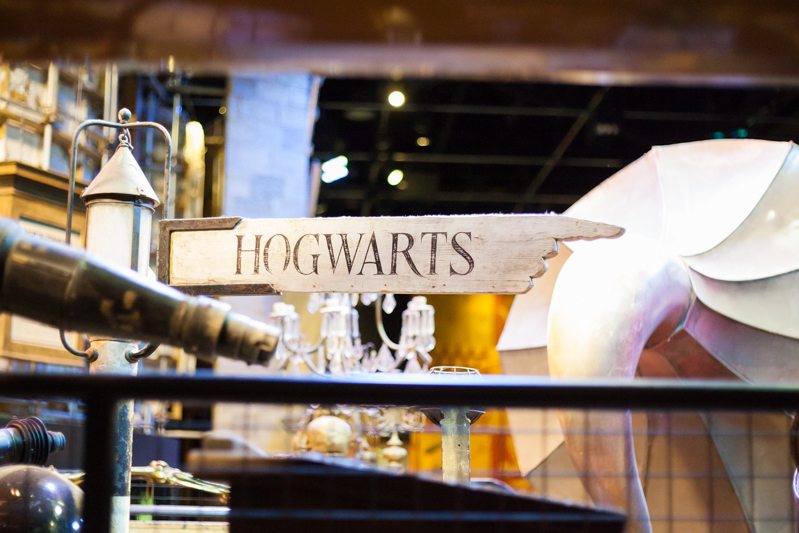 Make the kids pay for not just their souvenirs but their flight to the UK as well as entry into Harry Potter Studios. (We could stay with friends, so they got lucky this trip). When I first mentioned my idea to the kids, they thought I was crazy. How on earth can a 10 and 12 year old pay for their own holiday? We figured out that they would need around 200chf each to pay for their flights and entry in the studios. And that was not including souvenirs. Once they saw the golden ring, they became a lot more interested in the idea of saving. In October when we came across reasonably priced flights to London for between Christmas and New Years we doubled checked that the kids were still onboard. They were, so we booked our tickets and entry into Harry Potter Studio Tour under the provision that they would pay us 200 chf before we boarded the plane. It was a bit risky taking the word of two pre-teens but they made good on it and on Christmas Day paid off their last of their debt to us. It wasn’t all roses though. When their birthdays and Christmas came around and talk of the tradition wish list began, they did get some wobbly legs. Those dreaded toy catalogues are hard to resist when all of those shiny new toys were looking at them. And when I felt a bit of mother’s guilt starting to emerge, we stuck to our guns and reminded them of what they were saving for. So instead of finding a new Lego set or presents just because we had to buy something under the tree, the kids found mostly money. They got money from us, their grandparents, and their godparents. Not only were we teaching them the value of money and what it can buy, this strategy also stopped unwanted clutter and “just because” presents from cluttering up our home after the holidays. That was a major win-win in my book. When our trip came around on Boxing Day, I wish I could report that my kids who were proud as punch to walk on to the plane with a ticket they had purchased themselves, but honestly, they didn’t say a thing. It wasn’t until leaving the Studio Tour (through the souvenir shop, of course) where I first caught my first glimpse of the lesson beginning to stick. 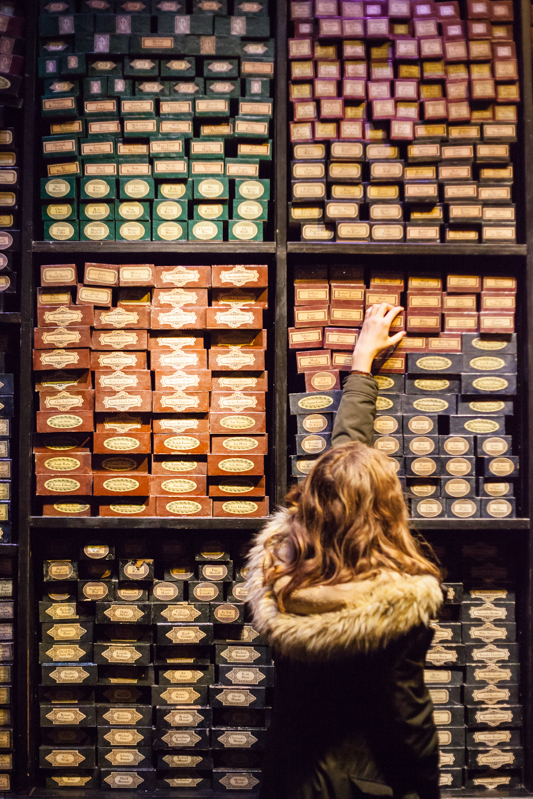 Instead of non-stop begging for multiple items in the souvenir shop, they chose to buy just those wands they had long desired with minimal fuss. That desire to buy something because they had money had somehow disappeared. And now when they mention their trip, they never forget to mention that they paid for it themselves. They were truly proud. I live for these type of life lessons. They are so important to teach our kids. Yes I want them to do their best at school, learn about world history and different cultures. BUT practical life lessons are also just as important. I want my kids to leave home knowing how to cook, grocery shop and how to look after their money. Good grades aren't everything, they’re just a piece of the bigger puzzle. If I am the reason that they have privilege, then I am also responsible for teaching them the reason they have it in the first place. So now with the new year we are starting to plan where 2018 will take us. And instead of having budget conversations after the kids have gone to bed, we now including them. They have started to learn that when we spend money in one place it means we have to say no to something else. And if we stop all those little purchases, something big like a trip to Harry Potter’s Studio in London may just be possible. Now their dreams are bigger and Harry Potter World in Florida doesn’t feel so impossible anymore. Maybe a new goal for 2019? Time will tell.